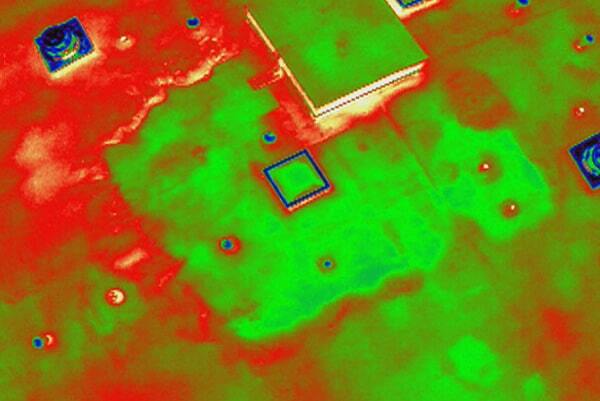 This Chicagoland Commercial Roof Infrared Scan helped us to pinpoint leaks in the existing roof. We tore out all these areas and installed dry insulation which allowed us to install a commercial roof system over the existing roof. It was also proof to our manufacturer of the extent of wet roof insulation under the existing roof system. There was no guesswork involved in determining roof insulation moisture. This Chicagoland owner was also pleased because he knew ahead of time what kind of time and materials charges would occur for wet roof insulation removal. 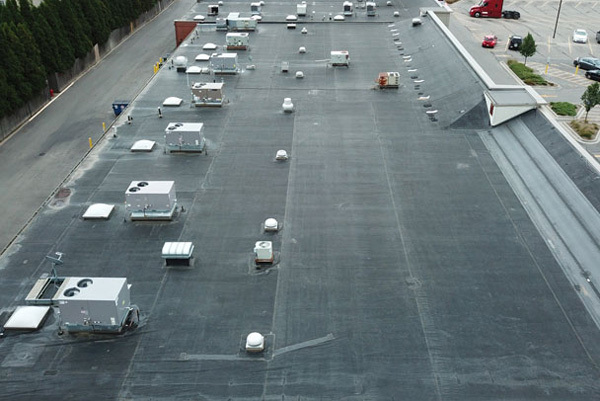 Commercial Roof Infrared is also good for existing Chicagoland roofs. It allows that owner to find areas of roof leakage. When the leak areas are discovered, the wet insulation can be replaced. The Property Owner ends up with a perfectly dry roof to be serviced for years to come. 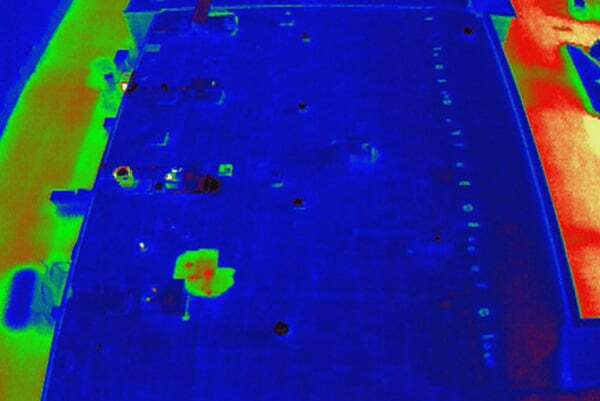 As you can see the infrared revealed only a small area of wet roof insulation on this Chicagoland roof. This made for an easy roof repair. 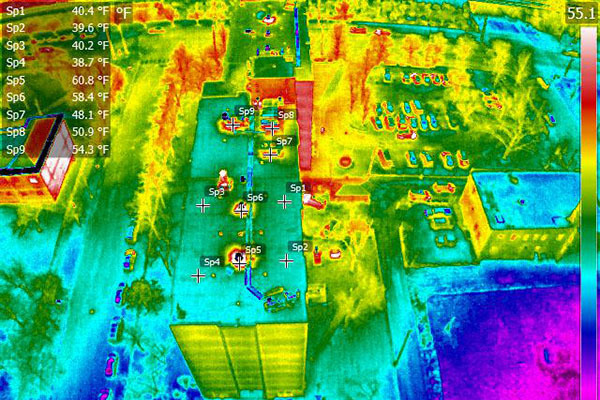 Commercial Roof Infrared Scans can save a tremendous amount of money. 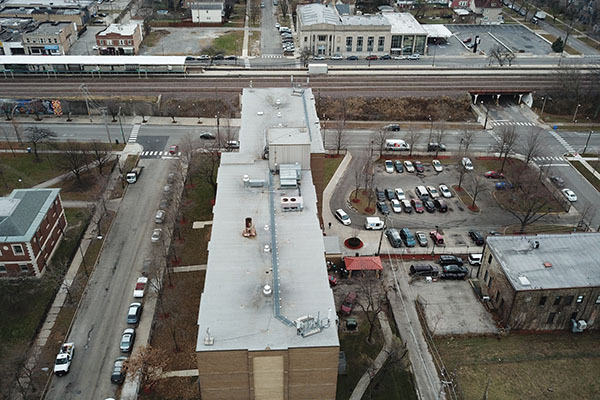 Chicago Housing Authority Roof Inspection with drone photos. 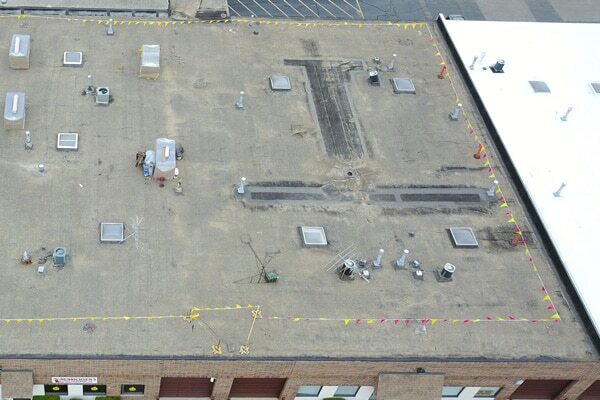 Chicago Housing Authority roof inspection with an infrared drone. This leak was very difficult roof leak to find. 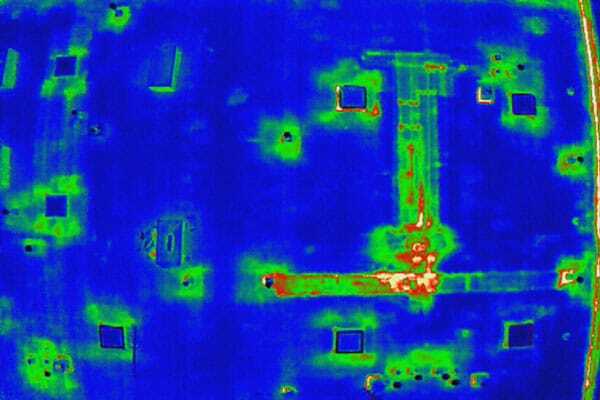 However, when the commercial roof infrared was done, the leak became clear. The white area by the elevator shaft had a commercial roof repair installed which solved the leak issue once and for all.